After a long campaign for temperance, Manitoba voters took a hard line against the social costs of liquor and voted to introduce prohibition 83 years ago on March 13, 1916. In the days of the Hudson Bay Co, liquor had been imported from Britain for residents of the Hudson Bay posts. The first provincial Liquor Commission was established in 1878 and it allowed one bar for every 300 people. With a population of 7,000, 23 licenses were allowed. In 1916 there were 196 hotels in the province, with 76 of them in Winnipeg. There were 40 liquor wholesale liquor stores and 7 breweries. Put out of work were 1,975 bartenders. Most were expected to move to wet areas in the US or in Canada. For enforcement officials the job became one of dealing with people who went underground with bootlegging. Prohibition lasted for 7 years till Manitobans had second thoughts. In 1923 by a vote of 107,609 to 67,092 Manitobans reversed themselves and decided to allow liquor sales once again. This time a provincially run corporation the Manitoba Liquor Control Commission would regulate the sale of liquor to Manitobans. The act was fairly restrictive. The price had to be the same everywhere. Stores were located in Winnipeg, Brandon, Portage La Prairie, The Pas and Dauphin. Advertising was very closely regulated and had to be approved by the Commission. Billboard ads were banned. There were quotas on sales. One could not buy more than 24 quarts a week or 72 quarts of beer per month. Liquor had to be consumed at home only. There was to be no barter of liquor and no transportation of liquor in Manitoba. Liability for a drunken person’s death was established by the act to whomever had supplied it to the individual. Ten ratepayers could stop the establishment of a licensed premise or a beer vendor. And in fact the Mennonite Bible belt was free of liquor for many years. Today Steinbach remains as dry as it ever was. People, could be banned from buying liquor on the authority of the police magistrate or two justices of the peace. They were termed interdicted persons. As with lotteries today, the question of govt reliance on liquor sales and taxes for revenue has always been a dilemma. Government has walked the tightrope of valuing the revenue from liquor while at the same time trying to balance the social cost of drinking in society. When the Liquor act was passed in 1924 the average Manitobans spent $20 a year on liquor. By 1930 it was $31 per year. During the depression it fell to $14 rising sharply to $62 in 1946 after the troops had returned home. In 1924 liquor revenues were $1.4 annually, declining to less than a million in 1934. But by 1947 revenues were $6 million comprising 27% of govt revenues that year. In 1954 a commission to study the Liquor Control Act was lead by ex Premier John Bracken. It conducted an exhaustive 750 page study that has the depth of social research you would expect if done today. In 1954 Manitobans had spent $43 million on liquor. At this time a good bottle of whisky cost $4-$5 and a 24 of beer were $3.27. The research showed alcohol reduced inhibitions helped contribute to poverty and dependency. It struck a tone for scientific and objective reasons for temperance and not moralistic reasons. It surveyed liquor practises throughout the world and reported a s follows. China has a serious problem with opium. Columbia was suffering serious problems with beer made from corn. Mexico had the same problem with home brewed beer. Iceland had lived with prohibition for 40 years and seemed happy with this. Russia was endemic with alcoholism. There was a liquor store for every 86 inhabitants: 8 times the norm. It was easier to buy liquor in Russia than to find a newspaper. Germany had once had a problem, but by this time it had gotten it under control. Holland was recognised as having the best policies for treatment of alcoholism, funded by the state but provided privately. A new liquor act was passed in 1956, which is still in effect. It brought the consumption of liquor into the 20th century allowing a liquor vending system to be established. No liquor advertising was instituted. And it voted not to allow the sale of beer in grocery stores. Flin Flon is the gateway to a nature-lover’s paradise. Located at the meeting point of three Canadian geological regions, the EDGE gives you access to an astounding variety of landscapes. The untouched, rock surfaces of the Canadian Shield to the north, polished smooth by the last glaciations, provide a dizzying array of lakes, swamps and muskegs. To the south, one can see the Precambrian-Paleozoic contact, an escarpment rising up to thirty metres above the southern country that boasts the even shored lakes of the Manitoba Lowlands. And, to the west, the Great Plains of Saskatchewan offer a breath-taking agrarian vastness that must experienced to be believed. Besides taking in the beautiful sights, activities available in the include golf, swimming, fishing in both summer and winter, camping, and even scuba-diving. The history of Flin Flon and the surrounding region is steeped in romantic adventure, as the entire area was settled by men and women in search of their fortunes in gold. In 1910, a group of prospectors found gold in quartz veins on the West Side of Amisk Lake. Members of this group were Jack and Dan Mosher, Thomas Creighton, and Leon and Isidor Dion – names that appear repeatedly in the history of the region. This deposit led to the development of the Prince Albert Mine that operated in 1937 and again from 1940 to 1942. By 1913, people were coming from all over Canada to make their fortunes. This was the first major discovery of gold west of the Ontario border since the Klondike gold rush. More than a thousand men, and even two women, came to stake claims. The ‘town’, which sprang up, was called Beaver City, and consisted of a row of tents and log cabins, as well as two cookhouses capable of feeding two hundred men at a time. Commercial fishing was also started on Amisk Lake in 1913. Freight was hauled by York Boat in the summer and by sleigh in the winter. World War 1 and a subsequent outbreak of Spanish influenza contributed to the demise of Beaver City. When war broke out in 1914, one man was left as caretaker of Beaver City. After three years of looking after a deserted town, Angus McDonald was given the town as payment. Roderick McDermott is the last known surviving resident of the Beaver City settlement. Mr. and Mrs. McDermott still reside in Denare Beach. Gold prospecting continued through 1914 and 1915. In 1915, Creighton, the Moshers and the Dions discovered the massive Flin Flon copper-zinc orebody and prospecting shifted from gold to base metals. The complex mineralogy of the deposit inhibited its development until the Mandy Mine was established along Flin Flon Lake in 1915. Eventually, the Mandy Mine became profitable and busy enough that no one returned to the gold claims. The community of Flin Flon came into existence as Beaver City disappeared. 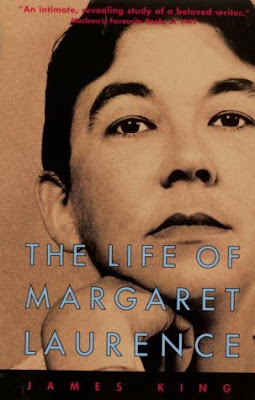 Jean Margaret Laurence, Manitoba’s distinguished author of “The Stone Angel” and “The Diviners,” was born Jean Margaret Weymiss, on July 18, 1926. Her mother was Verna Simpson, 6th daughter of John Simpson. Margaret’s father was Bob Weymiss, a lawyer who had really wanted to become a carpenter. Her dreadful early life in Neepawa became the source of her writings. Death was Margaret’s companion in childhood. Margaret lost her mother Verna at age four. Her aunt Margaret returned from Calgary to help care for young Margaret and slept in a back room. After a year of town gossip, her aunt became her next mother. From then on she would call her new mother mum. At age 9 Margaret lost her father. As a little girl she was made to go see her parents’ graves, surrounded by peonies. From then on she hated that flower. After her father died the family had to sell their house and move in with Grandfather Simpson. Margaret later remarked how the house felt like a cage and her grandfather was a tyrant. She was encouraged in everything she did. She felt different from the other children, an outsider. She became an observer of the lives of others. The war took away every boy in her class by grade 12. As a result, all of Margaret’s memories were of Neepawa as a place of death. At age 17 she won a scholarship to United College and found an opportunity to meet other budding writers. At age 18 she bought a Remington typewriter for $14 and remarked that her typing course taken at age 14 was the best thing she ever did. She stayed at Sparling Hall and ate at a Salisbury House as well as Tony’s. She had coined the name Minewaka in a short story competition run by the Winnipeg Free, Press. This secretive woman who had decided long earlier that “a life without hope is not worth living,” planned the details of her own funeral, including the timing of her death in Jan 5, 1987, during a battle with cancer. 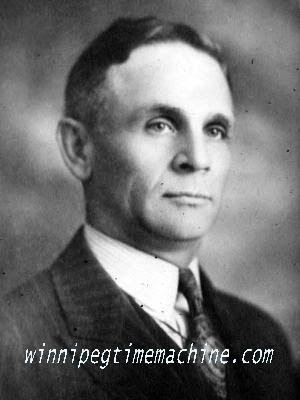 Honest John Bracken, the man who did not want to be Premier, ran the province for 22 difficult years between 1922 and 1944. Bracken was born the son of a dairy farmer June 22, 1883 in Leeds Ont. He loved sports especially football and hockey. He was one who kept his feelings to himself. He went away to high school but failed his final exams returning home defeated. He took on the management of his father’s dairy farm and made into a success. Up at 4:30 in the morning and in bed by 9, Bracken tended the farm 7 days a week. Like farmers everywhere, Bracken had been raised on values of hard work, and self-reliance. Later he applied to the Ontario Agricultural College where he became one of 300 students. There he applied himself and did well. He would later find a clerical error had occurred. He had in fact passed. He graduated with top marks and took on his first job. He went west in 1905 to head up the Manitoba a section of the Federal Seed Bureau providing better seeds to western farmers. He was then wooed further west to work in Saskatoon by WR Motherwell. He became a specialist in dryland farming writing several seminal texts. In 1920 he returned to head up Manitoba’s Agricultural College. He loved farmers and talking about farming. And he loved to work, taking time out only for his beloved curling. After winning the 1922 election the United Farmers of Manitoba found themselves without a platform and without a leader. After approaching several agricultural leaders they decided on Bracken. Bracken who had no interest in politics and who felt as head of the Ag College he already had the best job in Manitoba, turned them down flat. He gave such a stirring speech why he wasn’t the man that the United Farmers of Manitoba realized they wanted this co-operative non-partisan even more. The next day they presented him a petition asking him once again to become leader. And once again he refused. On the third try they made sure that they saw him at home with his wife present. Once again he said no. But then Mrs Bracken said: “John you should help these men out.” He agreed. But first, Bracken who had never voted in his life before had to win a seat. He decided to run in The Pas. Bracken won his seat and won elections for 22 years including some with acclamation. Forty years later, Bracken would tell a reporter a familiar story. After the election, the part aboriginal mayor of The Pas had told Bracken that he had been offered $10,000 by the Conservatives to run against Bracken but the mayor decided not to run. Bracken was at the helm for the most difficult times Manitoba faced. He introduced income tax and raised the gas tax. He reduced govt spending, fired civil servants, and cut back mother’s allowances. Within three years he was running a surplus. He was seen as arrogant, unable to forget his schoolmaster background and treated MLA’s as schoolboys. After his long service in provincial politics, in 1942 Bracken was once again persuaded to serve another group’s needs, this time as the leader of the federal Conservative Party. He convinced them to add the name progressive, but he was disappointed in the partisan bickering and his performance was judged lacklustre. He lasted two years. Some saw him once again, as the wrong man in the wrong party. Bracken gave Manitoba 22 years of unselfish govt. His influence lasted as Brackenism would become the philosophy of the Garson and Campbell govt that would follow for another 15 years. In 1954, Bracken the teetotaller headed a Royal Commission on Liquor. His report recommended the liberalisation of drinking laws. Years later he regretted the increasing rates of alcoholism. He retired to Manotick Ontario to breed horses and died Mar 16, 1969. During a crime of passion Henry Malanak killed a policeman and had to pay the ultimate price. Today we tell the story of Henry Malanik, the last man to be hung in Manitoba 48 years ago this week June 17, 1952. It was 1950 and the City of Winnipeg Police Department would lose another officer in the line of duty. Detective Sergeant Edwin “Ted” SIMS was shot to death at the scene of a domestic dispute at 19 Argyle Street. The murderer, Henry MALANIK, was convicted and was the last man executed in Manitoba. Malanik had come to Canada as a child in 1912. He had a grade 4 education. He had been convicted of several break and enters at age 17 but had no further troubles with the law till 1950. Malanik began an affair with Olga the wife of Adolph Kafka his childhood friend and best man. It was a fight over Olga’s affections that resulted in a gun battle at their house in Point Douglas. Malanik and Kafka were each fined $50. Tragically, several months later their guns were returned to them. In July 15, 1950 Malanik was thrown out of a wedding reception for being drunk and disorderly. He went to the Argyle St house to see Olga where he and Adolph got into a knife fight sending Adolph to hospital. The police were called and Detective Sargent Ted Simms along with Det Jack Peachell and Det William Anderson attended the house. Malanik had fled but returned with a double-barrelled shotgun. In a gun fight Malanik killed Simms with a shotgun blast to the abdomen. Detective Peachell emptied his gun discharging 5 shots at Malanik. Three found their target. As the gunfire continued another rookie policemen shot Detective Andersen in the neck by mistake. He would later be fired from the force. In Oct 1950 Malanik went on trial, his lawyer pleading for a manslaughter charge. After 40 min the jury returned a guilty plea, and Malanik was sentenced to hanging. Judge Kelly had reservations believing Malanik may have been too drunk to form an intent to kill. This was enough for an appeal. Malanik was retried in May 1951 and once again found guilty. This time judge Williams had no doubt of Malanik’s guilt. The case was appealed to the Supreme Court where it was denied. At 2:00 am June 17, 1952, as 40 witnesses watched, Henry Malanik was led into the execution chamber. Executioner “Camille” wearing a black beret and a Hawaiian shirt pulled the lever. As Malanik hung from the rope, blood began to spurt. His jugular had been severed. Two minutes later he was pronounced dead. It was the last time a man was hung in Canada’s most humane and modern prison, Manitoba’s Headingley Jail. Hangings continued at other provinces till 1962. From time to time the issue comes up. The Reform Party supports capital punishment, as do approximately 69% of Canadians. In the US capital punishment is available in 38 states, where homicide is ten time more prevalent than in England. Cauchon invested in railways and real estate and in 1866 was elected mayor of Quebec city. 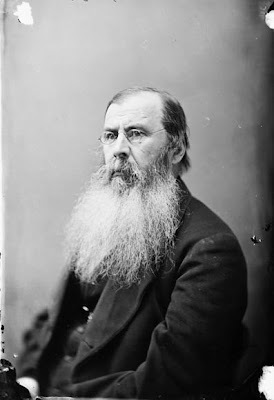 After confederation he was named a senator and was appointed its speaker. A Liberal supporter at heart, he resigned and was found having profited as an owner of a lunatic asylum. He joined Alexander MacKenzie’s govt but was soon “put to pasture” replacing Alexander Morris as Lieut Gov of Manitoba. Cauchon promised that he is “not a representative of a faith or a nationality, and to bestow no special favour on no citizen but to render justice to all.” His only transgression was in 1878 when he withheld assent of the act to abolish the official publication of documents in French. Cauchon left the job in 1882. English speaking Manitobans saw him as doing nothing, while his colleague Dubuc thought he had been excellent. For a province establishing responsible govt it was not a bad thing. In December 1882 he purchased for $60,000 the land on the east side of Main ST at York Ave, south of what later became the CN station. He built Winnipeg’s finest Block at the time the Cauchon Block for another $100,000. It had a Greek facade of four stories. Actually a brick building with a pressed metal facade it was as elegant a structure as one could find for the stores and offices it provided. But the land boom faltered and Cauchon gave up the block by 1884. It became the Empire Hotel. By now Cauchon was penniless. He and his son took up a homestead called Westwood in the Q’Appelle Valley, where he died in Feb 23 1885 at age 68. He lies buried at St Boniface cemetery after a state funeral. Cauchon had been married three times. Cauchon St a short street in in Ft Rouge also bears his name. Interestingly, Manitoba would not have another French speaking Lieut Gov for another 100 years till Bud Jobin was appointed in 1976. On June 29, 1920 Manitobans elected their first woman member of the Legislative assembly. 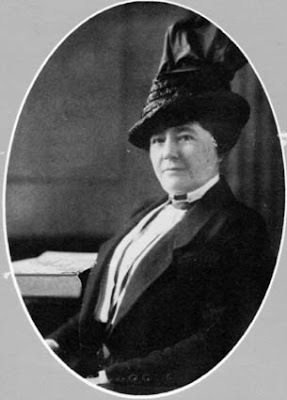 Edith Rogers had been active in soldier’s relief programs, and was seen as woman capable of bringing women’s issues before the Legislature. She is described as having been a true daughter of the north country in that both her mother and father had strong connections with the Hudson Bay Co. Her paternal grandmother had been the illegitimate daughter of Sir George Simpson. She was born Edith MacTavish in 1876. growing up at Norway House. She was educated in Montreal. In 1897 she met Arthur Rogers who was a wholesale dealer in fruits and provisions, while on a duck hunting expedition with her uncle. Arthur Rogers began a new dairy business in 1905 called crescent creamery with the active involvement of Edith. The dairy was a success because they paid close attention to hygienic conditions during a time when typhoid fever was rampant. HOW DID SHE BECOME A PROMINENT WINNIPEGGER? Edith raised four children and led an active life as part of the social elite. Participating in many luncheons, teas, bridge parties and dinners, Edith Rogers took a special interest in the General Hospital and the Convalescent Home. After WW2 she was very involved in veterans associations helping returning soldiers adjust to civilian life. In 1920 the Liberal party asked her to run as a candidate. Manitoba was the first province to give women the vote that year and it was the first opportunity women had had to vote or to run for office. Three other women ran for office that year. WHAT ISSUES DID EDITH ROGERS PRESS IN THE LEGISLATURE? She was very interested in social welfare and pressed for the adoption of the child welfare bill. She also introduced a bill for censorship of motion pictures and a bill giving widows increased power over their husband’s estates. She also represented the government on the Social Welfare Council of Winnipeg. She also introduced a bill to incorporate the Winnipeg Foundation. She was also credited by city of Winnipeg officials for always being willing to secure legislation that solved civic problems. She continued to serve in the legislature till 1932, after which due to declining health retired in her daughter’s home in Toronto. She came back at the outbreak of WW@ to become chairman of the War Council of the Red Cross. In 1942 she decided to retire to her childhood home in Colbourne Ontario. On the eve of her departure for more than an hour and a half a steady procession of people came to pay their respects at the grand staircase of the legislature. She died in 1947. Baldur Stefansson is one of Manitoba’s most distinguished plant scientists and the father of the new breed of canola which he derived from selections of rapeseed. Stefansson’s father had come from Iceland in 1910 and settled in Vestfold in the Interlake between Lundar and Inwood. He was a cattle farmer. Baldur was born in April 26, 1917. The area was not very prosperous. The area’s soil lacks phosphates, as he would later discover. It was so bad the cows would chew the 2×4 lumber. Baldur went to WW2 and when he returned decided against becoming a farmer. Why? Because he saw it as being too competitive. Every one of your neighbours is a competitor he maintains. And to get into farming takes a large investment. In the final analysis, the profit margin is very low. Instead, like many returning soldiers, he went to university, studied agriculture and settled on plant science. He earned an MA and a PhD. He became interested in finding new sources of edible oil. While hemp was an attractive possibility, Stefansson and his colleagues knew that the govt would not permit research with this plant. Instead they concentrated on rapeseed. He wanted to develop an edible oilseed for large-scale production on the Canadian prairie. Canola is the bright yellow crop, growing across the prairies. It is an oil seed. It came from selection of rapeseed, which is part of the mustard family. Rapeseed originated 2,000 years ago in India and was introduced to Asia during the time of Christ. It arrived in Europe in the 13th century. It became popular on the prairie because of its ability to grow in cooler climates. Grown for the oil contained in the seed, it was a particularly favoured lubricant because it could stick to metals in the presence of water. In 1936, a Saskatchewan farmer imported some rapeseed from Poland and began to grow it in Canada. It seemed to do well. Rapeseed had two difficulties in being utilised as edible oil. If it was to be for human consumption the amount of erucic acid had to be substantially reduced. And the by product of crushing which is used for livestock feed, had to be made more palatable by reducing anti-nutritive glucosinolates. Stefansson was able to do both. In 1974 he succeeded with the double low “Tower” variety of canola. And to differentiate it from rapeseed the new name canola was coined from “Canadian Oil.” The other choice was CanAbra, but the name was appropriated by a member of the committee who started an Alberta company with it. After developing the in the double low “Tower” variety, Stefansson then began work for Calgene a corporate plant breeder that developed the round-up resistant variety of canola. Calgene was later bought out by the giant in plant varieties: Monsanto. Stefansson has no regrets about the work and how its value had remained with the companies. He was well paid as were literally hundreds of scientists and support staff for years while the company took the risk. He is happy his canola has allowed some farmers to be a little more productive and to be able to make a slightly better living. He has won many awards over the years and a room in his modest house in Fort Garry now houses the collection. The Wolf prize from Israel, Order of the Buffalo Hunt, the Royal Bank etc. About two dozen in all. He is glad not to doing his plant breeding work in the corporate “dog eat farmer” environment of today. 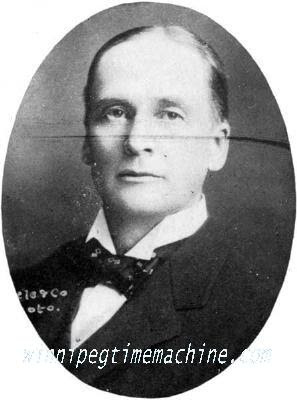 Sir James Aikins who was appointed Manitoba’s 9th Lieut Gov on August 3, 1916, and was the founder of Winnipeg’s oldest law firm Aikins MaCaulay Thorvaldson founded in 1879. Aikins was the son of Sir James Cox Aikins who served in Sir John A Mcdonald’s cabinet and who himself was Lieut gov of Manitoba during 1882-1888. The younger James was born in Peele County Ontario in 1851 and was educated in upper Canada College becoming a lawyer like his father in 1878. Aikins was drawn to the promise of the west and came to Manitoba in 1879 for just a look and returned only to pack and move to Manitoba’s new west. He took an office in Winnipeg over Richardson’s store and worked on a kitchen table from the corner of Main St and Rupert Ave. Aikins became involved in the temperance movement and was a popular speaker. When he arrived in 1879 there were 17 lawyers in Winnipeg. The great land boom of 1881 swelled the city’s population of lawyers such that in one day in June 1882 79 new lawyers were called to the bar. By the end of 1882 Winnipeg had 213 lawyers. Aikins rose fast in Manitoba legal circles. He was appointed counsel for the CPR expansion in the west. By 1884 he was made a QC. Aikins was considered a gifted speaker and an expert constitutional lawyer. His firm was now known as Aikins Culver and Hamilton and it was handling 1/3 of the city’s legal cases. In the early 1890s as the city was in recession and the city tried to begin taxing the CPR railway from school taxes, Aikins took Winnipeg to the supreme court and won the CPR’s continued exemption from municipal taxation. In 1914 he received a knighthood and he became the first President of the Canadian Bar Assoc and was a noted speaker at many of its sessions. The Canadian Bar seemed his greatest joy and he was considered a master orator. His friends referred to him as J. A. M.
With his many years of participation in the Temperance movement, Aikins was chosen to draft the 1900 Manitoba Liquor Control Act. A staunch Conservative he represented Brandon. 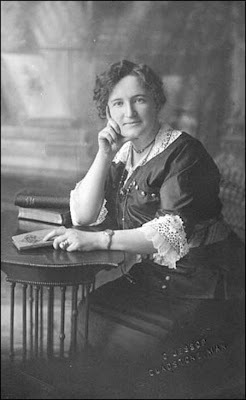 Aikins headed the Conservative party in Manitoba after 1915 and they supported women’s suffrage and prohibition. They were snubbed at the polls as the country and Manitoba went Liberal. Aikins worked on behalf of major companies such as great West Life for which he served as solicitor for 37 years. He was a director of many other firms including the Imperial Bank. Aikins left his name to the legal firm Aikins MaCaulay & Thorvaldson and Aikins St in the North end. Aikins built the Sommerset Block in 1900 just east of Eatons at Donald and Portage named after his older brother. 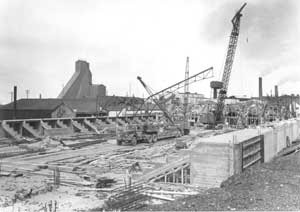 It was the first concrete building to be built in Winnipeg. He helped get eh Royal Alex and the Main St CPR subway. JAM had been a lavish entertainer at Govt house. Aikins was active in numerous community organizations including serving as one of the founders of the Winnipeg YMCA, chair of Wesley College, Boy Scouts. He was an ardent golfer and was considered one of Manitoba ‘s most skilled marksmen. His first marriage went sour as work preoccupied his time. Aikins career was to be celebrated in a special reception. In the large program for this special event one hundred and nineteen letters had been written congratulating Aikins for 50 years as a lawyer. They came from the prime Minister McKenzie King, from the Us Supreme court and from every important lawyer in the world. Ironically the day before the celebration was to be held to commemorate his 50 years on the Manitoba Bar James Aikins took ill and died two days later. He left one son and two daughters. He died in February 1929. He left a $6 M estate. His home Riverbend became Balmoral Hall school for girls. His son Harold trained in law and fought in WW1 losing a leg. He became a member of the firm but unlike his dad, he was a most sour personality. Head of jails in Manitoba Royal Burritt conducted an investigation into the state of jails in Manitoba and found the womens’ complaints had merit. The management consisting of Ed Calder and Maud Mountain was judged as incompetent. Staff was only at half the level required. Maud Mountain was a lousy administrator and showed no initiative. Ed Calder the past warden at the jail had been accused of hitting numerous women with his clenched fist. He ran the place like an autocrat. Burritt suggested that Calder be fired. Yet at the top of the womens’ demands was their wish to see the return of their male warden Sheriff Ed Calder. Set up in 1931 and made women’s only in 1935, the facility was badly in need of repairs. The colours were depressing, and described by Burritt a “bilious blue” and “dirty yellow.” The windows had been painted over a “hideous green” preventing light from coming into the cells. The food consisted of cold meats and potatoes. The fridge barely worked and the range needed replacement. It would have failed any restaurant health codes in effect at the time. The women were not given toothbrushes even though the cost was only 10 cents. There were no written rules of behaviour. Calder made the rules up as he went. Complainant Edna Burch said Calder beat her for a small infraction of the rules and put her on bread and water for 5 days. There was no vocational training available, nor any recreational facilities. The library contained nothing up to date. It had a few rotting foul smelling old books. Burritt concluded that there was nothing wrong with the food. “Nothing could start trouble sooner than to provide poor food and we know that well enough” said Burritt. Two years later Burritt seemed to have forgotten the importance of a decent meal. In 1948 unrest broke out at Headingley Jail. Men complained of not enough variety in meals. Not enough sugar available. No bedtime snacks. An investigation proved the men’s concerns. Meals consisted of a lot of beef stew and steamed or mashed potatoes. On alternate days sliced balogna. Sugar rations were tripled. It was deemed too impractical however to give prisoners bedtime snacks in their cells.